When Kate Unsworth, 28-year-old chief executive of Vinaya, talks about advertising, she sounds like the millennial spirit personified. "I’m in that generation that doesn’t respond to advertising," she says. "I prefer discovery-type brands and community movements. I respond to brands that find a smart way of interacting with me." Her words echo perfectly the mantra of the modern marketer. They are the words of the uber-millennial, if you will (for any Generation Z readers: "Uber" is being used in the superlative sense here, not as a synonym for taxi). And what could be a more fitting job for a millennial than developing products to help people manage tech fatigue? Unsworth set up Vinaya three years ago and the company, which she now runs with co-founders Dan Möller and Fabio Pania, released its first product range, Altrius, in 2015. Altrius is a collection of rings, bracelets and necklaces (starting at £220 apiece) that alert you using vibrations when those you care about most are contacting you, allowing you to peel yourself away from the smartphone without worrying you’ll miss something important. "I set up the company mainly as a result of my experiences working as a management consultant in the tech sector," Unsworth explains. "I was responding to emails 20 hours a day; I judged myself on how quickly I was responding to people, and it was affecting my ability to concentrate and have meaningful experiences." Unsworth’s manager at Accenture let her conduct a two-month experiment in which she would cut back drastically on her time spent online. "I found that I slept better and was able to feel emotions more clearly," Unsworth says, adding that she became an "emotional wreck" as feelings flooded back. "I realized that my smartphone until that point had been having a numbing effect on me," she admits. Unsworth is not part of the generation that grew up with social media. She had a pager before she got a mobile phone and remembers being unable to access Facebook because registration still required a university email address. But she was young enough to enthusiastically embrace tech as it became an all-consuming part of life. "No one paused, stepped back and asked, ‘Are you just expecting humans to adapt to the tech?’ " Unsworth says. "Now, I tell my team that we’re responsible for designing devices that add to the human experience." For six months while she was still at Accenture, Unsworth spent her evenings toying with ideas that would later become Altrius. In her day job, she was already writing articles about the burgeoning field of wearable tech and was being sent products to test, so she had a better idea than most about what worked and what did not. Evidently, the idea of wearable tech that helps people reduce their smartphone dependence struck a chord. Unsworth raised $3 million in seed funding in 2015; investors included Bebo co-founder Michael Birch and venture capitalist Robin Klein. But Unsworth is already looking beyond the Altrius range. 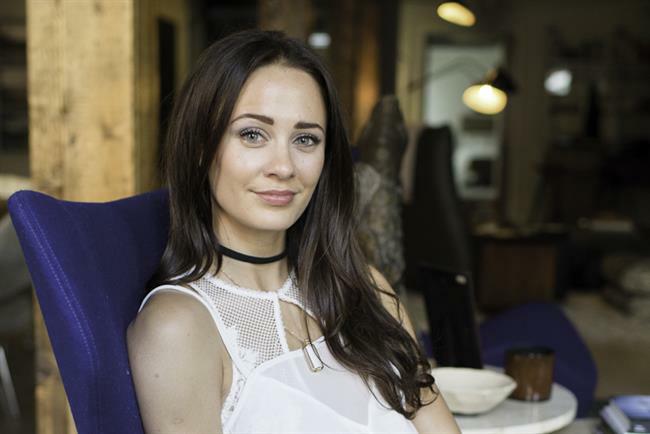 She is on record saying she is seeking another £10 million ($13 million) in funding as Vinaya gears up to release Zenta — a product that collects biometric data, information on your internet use and anything else it can access in order to monitor your health, alert you when you’re out of sorts and offer solutions such as guided breathing exercises. Think of it like one of those mood rings that used to be popular, except that it relies on sensors and Bluetooth instead of heat-reacting crystals and gullible rubes. Naturally, privacy and trust are both vital to Unsworth’s brand. "We are very lucky to count Dan Cooper as an advisor," Unsworth says. "He’s one of the best privacy lawyers around and he’s been helping us a lot. "We’re all about privacy by design — designing products with privacy in mind. We want to be a thought leader in this space; we want to be a very honest and trustworthy brand. "Years from now, when the whole data thing rises to the surface, the only companies that will survive will be the ones that people trust." It was the pursuit of trustworthiness that led Unsworth and her team to rebrand to Vinaya in October 2015. The company was originally called Kovert — while that befitted a fashion tech brand, for an innovation lab creating products that store intimate data it sounded too much like a syndicate of Bond villains. "It was interesting because we founded the brand before we knew what we were," Unsworth says. She realized she had to change the name when the company emerged as a "rebel" on the brand archetype chart: "People can’t think of rebels even a little if they need to trust us with their data, so that’s why we rebranded." Vinaya is a Sanskrit word that means "tranquility" and "discipline". "We did a lot of company soul-searching last year," Unsworth says, adding that, after watching Simon Sinek’s "Golden Circle" TED talk, she and her co-founders knuckled down on their company’s purpose: to tackle hyper-connectivity and stress. Pie-in-the-sky conversations about jewellery that learns the triggers of stress and monitors them became a reality thanks to Vinaya’s lab technicians, who gave Unsworth confidence that it could be done. The result, Zenta, reached its funding target of $100,000 on Indiegogo within 40 hours earlier this month and will go on sale in 2017. But, once again, Unsworth is already looking ahead. "The bigger vision is to see if we can figure out tech to help people with mental-health issues," she says. "Can we use this tech to spot things like depression and suicide earlier in people? There’s no prevention system at the moment and this is the thing that keeps me driven – can we do this? And the answer, I think, is yes." A brand with a purpose to do good? It doesn’t get more Millennial than that.